We’d love your help. Let us know what’s wrong with this preview of My Name is Mary Sutter by Robin Oliveira. A New York Times bestseller and a moving Civil War novel about a young midwife who dreams of becoming a surgeon. Fans of Caleb’s Crossing by Geraldine Brooks, Cold Mountain by Charles Frazier, and Mrs. Lincoln's Dressmaker by Jennifer Chiaverini will love this New York Times bestselling tale of the Civil War. Mary Sutter is a brilliant young midwife who dreams of becoming A New York Times bestseller and a moving Civil War novel about a young midwife who dreams of becoming a surgeon. Fans of Caleb’s Crossing by Geraldine Brooks, Cold Mountain by Charles Frazier, and Mrs. Lincoln's Dressmaker by Jennifer Chiaverini will love this New York Times bestselling tale of the Civil War. Mary Sutter is a brilliant young midwife who dreams of becoming a surgeon. Eager to run away from recent heartbreak, Mary travels to Washington, D.C., to help tend the legions of Civil War wounded. Under the guidance of two surgeons, who both fall unwittingly in love with her, and resisting her mother's pleas to return home to help with the difficult birth of her twin sister's baby, Mary pursues her medical career against all odds. 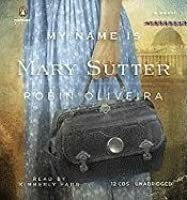 Rich with historical detail—including cameo appearances by Abraham Lincoln and Dorothea Dix, among others—My Name Is Mary Sutter is certain to be recognized as one of the great novels about the Civil War. To ask other readers questions about My Name is Mary Sutter, please sign up. Mary Sutter is determined and tenacious to become more than just a midwife. She wants to learn- she’s sincerely fascinated with medicine...details among details. The obstacles for a woman to be accepted into medical school - to become a doctor - let alone a surgeon- were tenfolds more than today. to a period of history and give me deep experience of The Civil War and the ‘many’ women who served. the courageous women....the many nurses tending to the massive amounts of wounded soldiers. The lack of medical knowledge was scary. And the sanitation was just as frightening. The medical supplies were not even close to being enough. family conflicts ...and tragedies from pain and suffering. Society didn’t valued the women who wanted to help, and had more knowledge than some of the doctors, who could’ve helped in surgery. Instead they were turned away.... and patients died. This remarkable book is the story of one young woman's desire to be a doctor in the late 1800's and early 1900. She and her mother are midwives, well renowned in the Albany NY area. Her father was a great railroad entrepreneur and so they were very well off. They were a close family, a twin sister Jenny and a brother Christian rounded out the family. At the outset of the novel Mary has been trying and trying to no avail to enter medical school or be interned with a doctor, everyone has refused her. When the civil war begins and there is madness when there has been no real plan as to what to do with the injured, with the exception of a few hospitals in the city. Mary sees her chance. She forces herself entrance into the worse hospital, the Union Hotel, the surgeon residing there is William Stipp. She knows of him. At first he will not allow her to help but when he is deluged with soldiers needing amputations (he himself has never performed one), Mary helps, holding the boy's leg while reading from the guide to surgery. More and more he comes to depend on her. She endures horrible conditions, death, filth and disease. At any rate as the story continues there is also great character development and love interests, human interest, all in the background of the ever increasing trials of the Federal Army. We meet Lincoln, Hayes, officers, etc with our glimpse into history. The description of Washington city is especially insightful. I loved this book as much for the determination of main character as for all of the other elements of the book. I was trying to rally some friends to go with me to an event by this author. No one was interested, which puzzled me. “You have to come! Civil War books are awesome!” One guy was particularly reluctant. “But we can read it together! Civil War books are the best!” He admitted that he have not read any Civil War novels and seemed uncomfortable. At which point, it occurred to me that I myself haven’t read many Civil War books. * But I forged ahead like a robot. “Civil War books are great!” He asked I was trying to rally some friends to go with me to an event by this author. No one was interested, which puzzled me. “You have to come! Civil War books are awesome!” One guy was particularly reluctant. “But we can read it together! Civil War books are the best!” He admitted that he have not read any Civil War novels and seemed uncomfortable. At which point, it occurred to me that I myself haven’t read many Civil War books. * But I forged ahead like a robot. “Civil War books are great!” He asked me why. The first things out of my mouth were the big hoop-rimmed dresses, ice-cold lemonade on long porches, and dancing at balls. Then it hit me. I was describing the lifestyle of rich, white Southerners and neglecting some big issues such as…oh, I don’t know…slavery. I went home that night and did some thinking. I am a Southerner – born and raised in Georgia, honey. Ignoring some Italian blood, my family can be traced way back in the Deep South. (I recently learned one family branch has granted land in South Carolina by the King of England in the 1770s!) And I think it is natural to be curious about how one’s ancestors lived. But I still felt like an insensitive, horrible person. Battles, courage, leadership, ideals! This is the deeper layer of Civil War novels and movies that I enjoy and ruminate. Why didn’t these come to mind before the fluff? Oh well. I read the book solo and dragged my duty-bound husband to the event. It is worth reading if you like books set in this era. Robin did her research. And you will learn a fair amount about medicine, surgery, and the pioneering nurses of that time. There are some beautiful passages that compare childbirth with war. The writing is atmospheric. It may even be overburdened with descriptions. Emotions are high and push the book to the edge of sentimentality. Then again, that’s excusable, because you’d expect heightened feelings during wartime. And let the squeamish be warned: there is a gruesome childbirth, as well as several leg amputations depicted in detail. I like how Robin treated the medicine of the era. It was dismal and she portrays it as such. She resists the temptation to have a precocious character discover germs before their time. Her surgeons are undertrained. They never figure out why some patients die and others make it. Her one ray of hope is a surgeon bent on taking samples to research under a microscope. My main gripe is that I never fully connected to any of the characters. I can see how Robin wants me to react to them. Yet their actions seem forced. Take Mary Sutter – the heroine and namesake. Mary is a gifted midwife, who is bursting with ambition and wants to be a surgeon. But unlucky for her, it is the mid-1800s and no one will teach a woman. I respect Mary and feel frustrated by her roadblocks. But I don’t like her. She seems hard and stiff. I sense she wants to become a surgeon for personal achievement and to defy the naysayers - not because she has a passion for helping people. Shouldn't that come first? Supposedly Mary has a soft side. Robin includes snippets of Mary singing to a dying soldier and patting people on the shoulder. But I don’t buy it. The other 80% of material regarding Mary contradicts it. It is almost as though Robin strives so hard to make her characters realistic that she overshoots and makes them too complicated. All their opposing characteristics start to cancel out one another. In person, Robin is soft-spoken and almost ethereal. She was dusting her dining room one day when she had a vision of a woman in period dress, who is hunched over a microscope and surrounded by books. Hello, Mary! She spoke in great length about the research trip she took to Washington D.C. She had an entertaining anecdote about an amputated leg preserved in brine at one museum; the leg belonged to a governor, who used to visit the leg because he missed it so dearly. Hearing her speak with such care about the first-hand documents she held and the places she visited gives the book enormous credibility. And Robin herself is a certified nurse, which lends more authority. ... a moving Civil War novel about a young midwife who dreams of becoming a surgeon, says the blurb. I was hesitant to read this novel. What else could be expected than the gritty, dark tale of a young woman who forced her way into the civil war in her desire to become a surgeon? I needed to get the TBR-list reduced. It was time to face this particular psychological war of words. It took more than just courage and determination to get me hooked and made me stay. Devastating, raw, and brutal. The ... a moving Civil War novel about a young midwife who dreams of becoming a surgeon, says the blurb. I was hesitant to read this novel. What else could be expected than the gritty, dark tale of a young woman who forced her way into the civil war in her desire to become a surgeon? I needed to get the TBR-list reduced. It was time to face this particular psychological war of words. It took more than just courage and determination to get me hooked and made me stay. Devastating, raw, and brutal. The American Civil War spared no one (and in this case not the reader either). The suffering, as portrayed in so many other similar sagas was enhanced in this story. The heartbreak was inescapable. If you haven't read any Civil War novels before, you might want to consider reading this one. The author used meticulous research to bring this part of American history alive and commemorate the thousands of men and women who braved the dire circumstances of the war to assist the soldiers. Famine, diseases, despair, devastation, severely limited knowledge and resources, weather conditions and death...they had to battle it all and make a difference while nothing was guaranteed to no one. However, for Mary Sutter, and many other women, it finally brought the liberty to become doctors and surgeons. And the ultimate victory was the abolishing of slavery. I was delighted to notice Louisa May Alcott's name in the acknowledgments. Particularly her involvement in the Union Hotel Hospital. If you haven't read this remarkable author's novels, you should consider doing so. She was way ahead of her time - generations ahead, to be exact. To be honest, I would have loved a non-fictional book about the detailed history in the book. It would have been a riveting read anyway. However, this novel is so atmospheric and well executed, that I actually wanted to continue and learn more about the Sutter family (Mary, her twin sister Jenny, their brother Christian, their mother Amelia, Dr. William Stipp, and all the other peripheral characters gracing the plot. The novel centers around the women characters, but for me personally, it was perhaps unintentionally also a tribute to all the men who made a difference in the history of America. They were all brave. They all sacrificed. They should all be remembered. I enjoyed this intriguing and informative Civil War novel centered around the strong-willed and stubborn character of Mary Sutter. Sutter is a midwife who dreams of becoming a surgeon, an unheard of occupation for a woman during that time. She is turned away by experienced surgeons who she wishes to shadow and learn from. Her strong determination refuses to accept being denied and drives her to travel into the battlefields to face and assist the injured and dying soldiers head-on. I really liked the midwife and nursing aspects of this book. I found the war details shocking and fascinating – soldiers being led into battle without proper preparation, inadequate shelter and food for the thousands of soldiers who voluntarily enlisted, the amount of disease that spread among the soldiers from lack of knowledge on sanitization, etc. While I enjoyed learning about this time, I found that the story became a little too political at times. I got lost in the American political details a few times which took away from my enjoyment. Overall, I enjoyed this novel and look forward to starting Book #2. I am feeling a bit torn about how I feel about My Name is Mary Sutter. On the one hand I love a book with a strong-willed female protagonist – and this definitely had that. On the other hand, war books are hard for me to emotionally stomach – since I have a brother in the Army. My Name is Marry Sutter is about an able-bodied young midwife who, during the American Civil war, is trying to fulfill a life-long ambition to become a doctor, more specifically a surgeon. She faces disappointment and sexi I am feeling a bit torn about how I feel about My Name is Mary Sutter. On the one hand I love a book with a strong-willed female protagonist – and this definitely had that. On the other hand, war books are hard for me to emotionally stomach – since I have a brother in the Army. My Name is Marry Sutter is about an able-bodied young midwife who, during the American Civil war, is trying to fulfill a life-long ambition to become a doctor, more specifically a surgeon. She faces disappointment and sexism at every turn; this is the story of how she overcomes her obstacles. Unbeknownst to me until after I finished the book, this is on Oprah’s reading list club thingy that she does. So, just to head-off any questions about that; no I am not a fan, and no I did not read this because of her. I thought the over-all prose was reminiscent of Jane Austin. Maybe someone who has read this, and a lot more Jane Austin than I have can confirm or deny my opinion on the prose. I am certainly no Austin connoisseur. Our protagonist Mary was strong willed, perhaps a bit obstinate and bullheaded at times, but definitely likeable and even relatable on some level. I found myself cheering for her. The plot is fast paced, and that is definitely a good thing since some historical fictions tend to be long winded and drag on about the minor details. As historical fictions go, this one does not focus so much on the “historical” part as the “fiction”. – I don’t mean that as the facts were messed up or wrong, but you are definitely more focused on the story of Mary and her life than you are on the history that is going on at that time. If that makes any sense. I have a particular penchant for books that evoke strong emotion, even if that emotion is anger or sadness. – Call me a sap but, I like them. Anyway, My Name is Mary Sutter was extremely emotional for me. I honestly almost put the book down about ¾ of the way through because it was truly THAT difficult for me to continue. I pulled myself together, put my big-girl pants on, and I did end up finishing it. However, in the end, I decided that the majority of the strong emotion that I was feeling towards the book was based on my personal ties to soldiers rather than the actual merits of the book. Detailed retellings of the poignant last moments in soldiers’ lives, and the kinds of injuries that soldiers face was simply hitting too close to home. You are probably saying to yourself, ‘Ok, so it has a good protagonist, and stirred up strong emotion; what is the problem then? Why the lower rating?’ Let me 'splain. [pause] No, there is too much. Let me sum up. Firstly, I am not a huge fan of books that focus almost exclusively on interpersonal relationships between the characters, I need more meat than that. Secondly, it is one thing to read about a scenario that gets your insides churning because it is happening to the book’s characters, it is another thing to have your real life worst fears actualized in detail in front of your face in black and white. I have to give this 3 & ½ stars. With the disclaimer that anyone who does not suffer from the same overly-protective-older-sister-to-a-soldier-neuroses that I have would probably enjoy this book a lot more than I did. Particularly if you are a fan of historical fiction or U.S. Civil War buff. Oh, and sorry I don’t have many cutsie pictures for this review. I didn’t think an above-the-knee leg amputation .gif image was going to be conducive to my PG-13 rated review theme -not to mention hard to find. This is the type of book that I should have LOVED. Takes place in the Civil War era, which I used to obsessed with. Main character is a strong-willed woman who wants to be a doctor more than anything. Yep. Guess what? It is so incredibly slow. The war doesn't even start until halfway through the novel. We focus on 3.5 different main characters at random times and in random places. At one point the story veers away from Mary for several chapters, and you are left to wonder ... wh This is the type of book that I should have LOVED. Takes place in the Civil War era, which I used to obsessed with. Main character is a strong-willed woman who wants to be a doctor more than anything. Yep. Guess what? It is so incredibly slow. The war doesn't even start until halfway through the novel. We focus on 3.5 different main characters at random times and in random places. At one point the story veers away from Mary for several chapters, and you are left to wonder ... where did she go? Did she run away because the plot was so bad? Is she hiding from all the "letters to family/friends" inserted in random places? Did she get squicked out by the gross old doctor guy who wants to jump her bones in the middle of a battlefield? I cannot tell a lie. There are some decent scenes. The scene at Antietam and the aftermath was, I thought, very moving. Okay. I have now touched on the one good scene in the book. I just...this book. It makes me cry. It makes me cry crocodile tears and I can no longer formulate a review for the travesty contained within its pages. Set in Albany New York during the American Civil War in the 1860's, Mary Sutter is a renowned and respected midwife. However, her fascination with medicine doesn't end there and she dreams of maybe, someday becoming a surgeon, an almost impossible ambition for a woman of that era. Mary is repeatedly turned down for admission to numerous medical schools for simply being a woman. When Dorothea Dix persuades Abraham Lincoln to allow her to recruit a band of female nurses to serve alongside the army Set in Albany New York during the American Civil War in the 1860's, Mary Sutter is a renowned and respected midwife. However, her fascination with medicine doesn't end there and she dreams of maybe, someday becoming a surgeon, an almost impossible ambition for a woman of that era. Mary is repeatedly turned down for admission to numerous medical schools for simply being a woman. When Dorothea Dix persuades Abraham Lincoln to allow her to recruit a band of female nurses to serve alongside the army doctors, Mary travels to Washington D.C. to secure a position in an army hospital in the hope that this will help her establish a medical career. I'm a big fan of historical fiction, and this novel is historical fiction at its best. This is a novel that will both move and anger you. It was a very compelling and enthralling story, particularly the fact that Mary Sutter was an unconventional heroine in some respects, but such a strong woman underneath it all. There were quite a few twists and turns in the novel and I found I was unable to put this book down for long, I kept turning the pages hoping Mary would eventually achieve her dream and I kept wondering which man Mary would choose (three men were in love with her during the course of the novel). The level of historical detail in this novel was amazing. It is clear that the medical and civil war aspects of the novel were extremely well-researched. I found the depth of research and work the author put into this novel was simply astounding. All of Robin Oliveira's characters were vivid, well-developed and extremely likable. I really loved how the protagonist's character evolved throughout the novel. Mary does seem quite shy and awkward at the beginning of the novel but she's filled with a fierce determination to succeed. Mary overcomes her obstacles managing to achieve her dream of becoming a strong and confident doctor in a time that was not at all friendly to women in general. I found Mary's character to be extremely admirable and quite courageous. I enjoyed this novel immensely and I absolutely loved the main character. My Name is Mary Sutter has become one of my favourite novels. I look forward to reading more from Robin Oliveira in the future. While I was waiting for my library copy of Winter Sisters I decided to read this not realizing that it was a prequel to Winter Sisters or that I had attempted it once before but abandoned for who knows what esoteric reason. This time I easily became absorbed in the story and thoroughly enjoyed this civil war era tale of a woman with fierce determination to become a surgeon at a time when women just did not do that. Although Mary Sutter was not a real person, she embodies the spirit of 17 women w While I was waiting for my library copy of Winter Sisters I decided to read this not realizing that it was a prequel to Winter Sisters or that I had attempted it once before but abandoned for who knows what esoteric reason. This time I easily became absorbed in the story and thoroughly enjoyed this civil war era tale of a woman with fierce determination to become a surgeon at a time when women just did not do that. Although Mary Sutter was not a real person, she embodies the spirit of 17 women who became doctors after the Civil War based on their experiences working as nurses. It is also a love story. Coming as it did on the heels of my reading Lincoln in the Bardo I paid special attention to the brief passages about Abraham Lincoln and his son Willie who died of typhoid fever at the age of 11. Sometimes the publicity placed on a book cover is mostly hype. That is not the case with this amazing novel. It's brilliantly researched and brilliantly written. And it's a debut novel. From first page to last, I was utterly gripped. I can't recommend it highly enough. Engrossing read, rich with historical detail, My Name is Mary Sutter tells the story of a woman determined to be a surgeon and how the Civil War gives her the chance to enter the male-dominated medical field. While I think it's high time the North had an answer to the high-spirited and strong-willed Scarlett O'Hara, Mary Sutter is not quite it. She is determined (although it's never made quite clear why, and her desire waxes and wanes oddly) but she's not as likable (or as unlikeable) as Scarlet Engrossing read, rich with historical detail, My Name is Mary Sutter tells the story of a woman determined to be a surgeon and how the Civil War gives her the chance to enter the male-dominated medical field. While I think it's high time the North had an answer to the high-spirited and strong-willed Scarlett O'Hara, Mary Sutter is not quite it. She is determined (although it's never made quite clear why, and her desire waxes and wanes oddly) but she's not as likable (or as unlikeable) as Scarlett. And My Name is Mary Sutter is no Gone With the Wind. I loved the idea of this book but found the execution of it uneven. (I think I might have preferred a non-fiction account of the women who became nurses and doctors during the Civil War.) Oliveira has definitely done her research, but the fiction she spins with it is a bit too light. She's better at details than characters. Where's this going? -- There's a big buildup to a major event in the book which comes too early and falls too flat afterward. Things get so muddled that, for a time, we even lose track of the titular character. Everybody loves Mary -- It seems that every man in the book (that's not a relative) is enamored with Mary. I get that the soldiers she treats would look at her with affection. I also see how her drive would be appealing, but she's described as less than beautiful, and she's just a bit one-note. I don't buy that all these men were so taken with her, and I don't get how she feels about them. What about the other nurses? -- There's only brief reference to other women helping as nurses, and they have little interaction with Mary. Even if Mary is singular in her desire to become a surgeon, I would have liked seeing more camaraderie between the women and perhaps different characters illustrating the reasons behind why the women came to help, which ones lasted as nurses and why others didn't, etc. You mean there's a war on? -- Besides the chapters with Lincoln and Hay and the other historical figures of the time, no one really voices any thoughts or opinions about the war. Details are stated blandly when they could have been news discussed between characters. And about those historical figures -- They should not have been viewpoint characters in the book. Let them make a few appearances, but keep the action and focus on Mary and the rest. And about those other characters -- The shifting perspectives with the many different characters was just a bit much, and occasionally I think a particular scene or point would have been better told from another character's viewpoint. At other times, important things happen without being really shown. For example, when one character has a change of heart about Mary, it comes out of nowhere, like there should have been a chapter in between with some dialogue. (Other chapters read like an outline of what's happening instead of fleshed-out story.) I'm fine with multi-person omniscience, but when your book is titled My Name is Mary Sutter, I would expect more about (and from) Mary. The twin thing -- Why does Mary's sister Jenny have to be her twin? The sibling rivalry between the two would have worked just as well with her as an older or younger sister. It's never explicitly stated in the book, but it seems that Mary and Jenny are not identical. Mary's strongest physical characteristics seem to be her large build, wild hair and prominent chin, while Jenny is beautiful, blonde and delicate enough that her pregnancy puts her in danger. So why write them as twins? A selectively stupid mother -- A major conflict in the book revolves around the fact that Mary's mother Amelia wants Mary to be home to help with Jenny's pregnancy & delivery. So, even though Amelia has taught Mary to be a midwife, somehow Mary knows more that her mother? I get that Amelia wouldn't want to deliver her own grandchild, but she acts like she knows nothin' 'bout birthin' babies when this is far from the truth. In general I did not care for the mother at all. And while I know grief can make people do crazy things, I didn't like how she was because of it. And, in the end -- The book looks only at the early part of the Civil War (yeah, it's a long war, and I can see why the author didn't try and cover it all) but there's an Epilogue of what happens after. And I didn't like it. The way the love element of the book is wrapped up is unexpected (OK) and unsatisfying (not OK). (I'm fine with Mary ending up with someone, but the who and how didn't really gel for me.) Other characters are left hanging. I have different ideas for how I would have ended things, but I'm keeping it spoiler-free here. A deep look at the civil war through a young woman's eyes and heart as she reaches for her future in medicine. Most of my GR friends rated this 3 star. Most did not comment so I'm not certain what kept them from giving My Name is Mary Sutter a higher rating. A solid 4 for me. Length and a bit too much war kept it from a 5 star rating though that might not be entirely fair. After all this is as much a story of the men of the Civil War as it is historical fiction of a determined young woman with aspirations of becoming a surgeon. The war is a perfect backdrop for this as where else might Mary have achieved Most of my GR friends rated this 3 star. Most did not comment so I'm not certain what kept them from giving My Name is Mary Sutter a higher rating. A solid 4 for me. Length and a bit too much war kept it from a 5 star rating though that might not be entirely fair. After all this is as much a story of the men of the Civil War as it is historical fiction of a determined young woman with aspirations of becoming a surgeon. The war is a perfect backdrop for this as where else might Mary have achieved her goal. Through the course of the novel Mary only ages a few years but how she grows and changes in these. We meet Mary when she is just twenty years old, a competent mid-wife but one who sees more for herself. She practices her craft at the side of her mother, Amelia, who has taught her much but has already surpassed her mother's expertise. Mary is a twin to her sister Jenny, a relationship that bespeaks the bonds and yet a tenseness that perhaps only they can understand. Mary meets and falls for Thomas, a new neighbor. He initially seems interested in Mary but soon he only has eyes for Jenny. When nurses are being recruited by Dorothea Dix, Mary travels to Washington, D.C. in hopes of realizing her dream of not becoming a surgeon. Little does she realize where this path will take her. Many passages gave me food for thought. My Name is Mary Sutter is a story of mothers and daughters, of sisters and family, of love and war, of want and desire and of perseverance and hard work to meet one's goals. speaks to guilt and the hard decisions that sometimes must be made in spite of the consequences. My Name is Mary Sutter is well told historical fiction but not for the squeamish as many of the battle scenes with their depictions of the wounded are brutal. My Name is Mary Sutter is a debut. Robin Oliveira has recently published I Always Loved You, a fictional bio of Mary Cassatt. If it's half as good as My Name is Mary Sutter it goes on my list. I am a huge fan of Historical fiction but this has got to be one of the most boring books I read. I could not even get past the initial pages, it just read like a bad monologue between characters, absolutely no desire to care what happens to any character. The entire time I was asking myself, why should I care who is Mary Sutter? As far as I am concerned she was an undeveloped character that I soon ditched after I got to know her. Oh well interesting plot but failed to deliver. "If we let one on the train who will die anyway, it will doom two." "In all the world, there is not medicine enough to heal what ails the Union army, mopping or no." "How do you forget coffins? How do you forget to supply tourniquets? How do you forget that people might die?" Days later, the citizens of Washington would remark that the Potomac had turned the color of rust, but would not make the connection until news of the enormous numbers of casualties came pouring in." "If they had just washed their hands between patients, then all those deaths could have been prevented." It was unfortunate that I started reading this book 2 seconds after I finished another book that was not only vivid and creative, but emotionally vivid and creative. That seemed to amplify the difference between these two books in such an extreme way. My Name is Mary Sutter was just okay for me. Reading this was like looking at a painting. I could see the color of the sky, the civil war uniforms, the clothes, the buildings, and I could see stiff looking characters....but I had no idea what they It was unfortunate that I started reading this book 2 seconds after I finished another book that was not only vivid and creative, but emotionally vivid and creative. That seemed to amplify the difference between these two books in such an extreme way. My Name is Mary Sutter was just okay for me. Reading this was like looking at a painting. I could see the color of the sky, the civil war uniforms, the clothes, the buildings, and I could see stiff looking characters....but I had no idea what they were thinking or feeling. There were NO descriptions of emotion except for maybe...she was heartbroken. That was it - just one word here and there. Wow what a read! This author did her research! This novel takes place in the premature and all stages of the Civil War. Mary was a midwife and desperately wanted to become a surgeon. Mary leaves her family behind to go to Washington to work in one of the worse hospitals to learn surgery. Mary is strong willed and refuses to let any one stand in her way of her dreams included her family. After the hospital is closed, she finds herself on the outskirts of battlefields with the help of two surgeons Wow what a read! This author did her research! I loved this book. Mary Sutter is a midwife with one ambition - to become a surgeon. No easy feat in 19th century America where the doors to medical school are firmly closed to women. Therefore, when the Civil War breaks out, Mary grasps the chance to fulfil her dream and leaves home to tend to wounded soldiers in the makeshift hospitals and out in the battlefield. I was pulled into the story from the very first paragraph. Mary's determination is captivating, she becomes your heroine, somebody to I loved this book. Mary Sutter is a midwife with one ambition - to become a surgeon. No easy feat in 19th century America where the doors to medical school are firmly closed to women. Therefore, when the Civil War breaks out, Mary grasps the chance to fulfil her dream and leaves home to tend to wounded soldiers in the makeshift hospitals and out in the battlefield. I was pulled into the story from the very first paragraph. Mary's determination is captivating, she becomes your heroine, somebody to champion, even though you question some of the sacrifices she makes in the process. Alongside Mary's struggle to get where she wants, the story also centers around the personal relationships she forms with her "mentors" Dr Stipp and James Bleven. There isn't a single character in the book who can truly be disliked. You find yourself rooting for all of them. 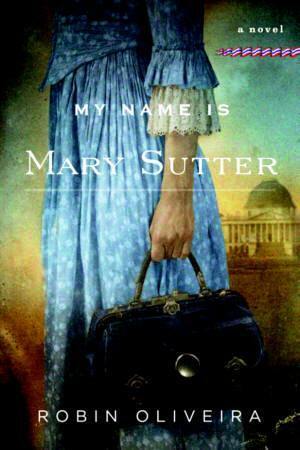 My name is Mary Sutter is a book centered in Upstate New York and Washington during the civil war. I am prefacing this review with the statement that I have read little Historical fiction to which romance was not a major factor in the story. This book is not one of those. The book is extremely well written and I enjoyed the author’s style greatly. I learned a lot from the book and I learned to love both Mary and the other players in the story. I could have done without the viewpoint of the Presi My name is Mary Sutter is a book centered in Upstate New York and Washington during the civil war. I could have done without the viewpoint of the President. I skimmed through it very fast to come back to lives of interest. Perhaps because Lincoln was of such fame I knew in my subconscious that there is no real way for the author to have known what he felt and it felt more contrived than the rest of the story. I don’t know, that would simply be my theory on why that part did not reach me. It was (however) a very small section of the book and in no way took away from the story. Excellent book about a very independent, intelligent midwife whose goal is to become a doctor, a vocation closed to women at the beginning of the Civil War. It's the story of her experiences in the makeshift Union hospitals and the battlefields in the Civil War. It's very descriptive of battlefield conditions, and the hell that war is. It also tells the story of her family and their complex relationships. It's a well written and well researched book without being dry. Robin Oliveira did a wonderful job with this one, you can tell she did her research. She set the scenes and period so well and developed a wonderful character in Mary Sutter. Sometimes the reader is lucky enough to pick up a book that they can get lost in. Place and time disappear and all that is left is immersion in the written word. We become one with the book. My Name is Mary Sutter is such a book. From the time I started it until the very last page, all that existed for me was the story - the ebb and flow of events. I was transported. The time is 1861 and the novel starts in Albany, New York. Mary Sutter is a determined woman, intelligent and headstrong. She is no Sometimes the reader is lucky enough to pick up a book that they can get lost in. Place and time disappear and all that is left is immersion in the written word. We become one with the book. My Name is Mary Sutter is such a book. From the time I started it until the very last page, all that existed for me was the story - the ebb and flow of events. I was transported. The time is 1861 and the novel starts in Albany, New York. Mary Sutter is a determined woman, intelligent and headstrong. She is not like the average woman of her time. "She knew that it was said of her that she was odd and difficult, and this did not bother her, for she never thought about what people usually spent time thinking of. The idle talk of other people always perplexed her; her mind was usually occupied by things no one else thought of: the structure of the pelvis, the fast beat of a healthy fetus heart, or the slow meander of an unhealthy one, or a baby who had failed to breathe." Mary is an accomplished midwife but she has dreams of becoming a surgeon. Never has a woman been admitted into medical school nor been accepted as an apprentice to a working surgeon. Mary writes letter after letter applying to the Albany School of Medicine and does not even receive the courtesy of a reply. Mary approaches an Albany surgeon, James Blevins, and inquires about apprenticing with him. He declines to take Mary on but they begin a friendship that endures time and hardship. The Sutters are supportive and close. Mary has a twin, Jenny, who is as unlike Mary as any person can be. Still, they are close and loving. Amelia, Mary's mother, is a midwife from whom Mary has learned her skills. The family comes from a long line of midwives. Christian is Mary's beloved younger brother. The family is financially secure due to Mary's father's business. When the book opens, Mary's father has recently died and the family is in mourning. A new family moves in next door and Thomas Fall, an attractive young man, is drawn into the lives of the Sutter family. Mary is instantly attracted to him and feels like he is responsive to her feelings. However, he is more drawn to her sister Jenny and ends up marrying her. Mary is crushed. At the same time, the Civil War is beginning. Mary decides that she needs to leave Albany to mend her heart and help out in the war efforts. She hopes to find someone she can apprentice with in Washington and attain her dream of becoming a surgeon. At the same time, her brother Christian signs up to fight for the Union. Nothing can prepare Mary for the horrific conditions in Washington. Though there is a war in progress, the Union government has not prepared for the medical necessities wrought by battle. The hospitals are not equipped with anything but the barest of necessities. Most of the surgeons who are manning the hospitals have never had to do an amputation, let alone take care of epidemics like typhoid or dysentery that are caused by close quarters and unsanitary conditions. Additionally, in 1861, treatments consisted primarily of whiskey, morphine, quinine, and bleeding the patient. Causes of most diseases were rarely understood. It is in Washington that Mary meets a surgeon, William Stipp, who takes her under his wing and agrees to apprentice her. This is a dream come true for Mary. Mary ends up going to the battlefields, living in the trenches with the soldiers, providing medicine in the worst of conditions. The book provides information about the Civil War at the same time that it tells Mary's story. We learn about Lincoln's travails, his health, tragedies and his difficulty finding good military leaders for the Union. I was especially fascinated to learn that Lincoln's first choice to lead the Union army was Robert E. Lee but that Lee went with the Confederates when his home state of Virginia chose to secede. We are privy to the stench and filth that is Washington. During the time this book takes place, from 1861 to 1863, Washington's streets are amok with sewage, body parts, and smells so bad that it is difficult to breathe unless one covers their face. This book tells a fascinating story about a fascinating time. There is tragedy and there is hope. There is just enough history to provide context but not so much that it becomes boring. Not usually a fan of historical fiction myself, I can vouch for the fact that there is just the right balance of history and narrative to keep this book fascinating from page one until its end. Readers who enjoyed Cold Mountain by Charles Frazier will be drawn to this book. Oh. My. Goodness. What an unforgettable book. Author Robin Oliveira has created a heroine unlike any other and a powerful story that captures the despair, horror and agony of one of the bloodiest battles in American history. The year is 1861. Mary Sutter, a remarkable midwife trained by her mother, dreams of becoming a surgeon but is refused entrance to medical schools or to be apprenticed by a doctor. When the Civil War breaks out between the North and South, Mary Sutter leaves the comforts of h Oh. My. Goodness. What an unforgettable book. Author Robin Oliveira has created a heroine unlike any other and a powerful story that captures the despair, horror and agony of one of the bloodiest battles in American history. The year is 1861. Mary Sutter, a remarkable midwife trained by her mother, dreams of becoming a surgeon but is refused entrance to medical schools or to be apprenticed by a doctor. When the Civil War breaks out between the North and South, Mary Sutter leaves the comforts of her home to escape from a recent heartbreak and to help take care of the injured soldiers in Washington and eventually right in the battlefield. What ensues is a riveting tale that pulled at my heartstrings for the loss and despair that the characters lived through. I admired Mary’s perseverance and self-sacrifice when faced with heart-wrenching decisions, and I shook my head in stupefied disbelief and sorrow at the carnage and futility the soldiers and surgeons faced on the battlefields. And apart from being severely prejudiced, it was brainless of the institutions to initially keep the women from nursing or doctoring the men. After all, women experience childbirth and are used to the sight of blood. Oliveira’s writing is brutally honest and she doesn’t spare details of the amputations performed in the crudest environments, but I never felt it was gratuitous or glorified. The scenes were from a medical point of view, and I marvelled at how doctors worked bone-tiring endless hours day and night with limited medical knowledge and few supplies and still saved lives. The imagery was vivid and I was transported to that time in history. I could smell the acrid smoke of the gunfire, feel the misery and hopelessness, see the deplorable hospital conditions and hear the desperate cry of the dying young men. The author weaved historical details beautifully into the story including scenes with President Lincoln and General McClellan. But ultimately, My Name is Mary Sutter is not a book about war, but one about choosing to be the person you think you could be. It’s about a young woman who pursued her medical career in the face of great obstacles, proving she was a doctor at heart. It made me appreciate the countless doctors who strive to improve the medical profession and perform amazing feats to save and preserve lives. An excellent read. This is a good book, just not great. Mary Sutter is a young lady in a country on the verge of a civil war. She is also an excellent midwife and has the preposterous idea that she can be a surgeon in a world in which women are not even accepted as nurses yet. Mary will not be deterred, however. She goes to hospital after hospital, appeals to surgeon after surgeon. In a way, the war is just what Mary needs, as suddenly her services are needed at the Union Hotel aka Pestilence Palace where many wou This is a good book, just not great. Mary Sutter is a young lady in a country on the verge of a civil war. She is also an excellent midwife and has the preposterous idea that she can be a surgeon in a world in which women are not even accepted as nurses yet. Mary will not be deterred, however. She goes to hospital after hospital, appeals to surgeon after surgeon. In a way, the war is just what Mary needs, as suddenly her services are needed at the Union Hotel aka Pestilence Palace where many wounded men are discarded awaiting medical care. The war giveth and taketh away. Tho it brings Mary this oppurtunity to establish and improve her medical skills, it also wreaks havoc on her family. Between the losses that are common with warfare and the tense relationship with her twin sister, Jenny, a bundle of guilt is laid at Mary's doorstep. It could possibly turn Mary away from the medical field completely, making all she has been thru for naught. I have two minor issues that prevent this book from being a five star read. A known author promises in a quote that this will is a "gorgeous love story." Um, where is the love story? There are three men at some time or another desiring Mary's affections, but Mary desires nothing but to be surgeon. She is rather "mechanical" and this trait of hers costs her at least one relationship. Never did I detect any strong feelings of love or desire really radiating off the characters involved. Like Mary, the "love" story feels mechanical and often out of place. Lastly, the parts with Lincoln and Hayes. I get that their excerpts are to establish the war history throughout the novel, but at times, I failed to see what their conversations had to do with Mary's story. Those already familiar with Civil War history may find themselves nodding off at these moments. A good read, but I never laughed till my belly hurt nor had a tear run down my cheek. I wasn't "moved." Four stars. On the cusp of the American Civil War, a young midwife wants to learn from a surgeon (male, as all were then) more about how the human body works; ultimately, she wants to go to medical school. And so Mary Sutter leaves home to try to learn surgery in hospitals or in field camps where the wounded and dying are brought. There are more than a few pages dedicated to Abraham Lincoln, the generals who seemed inept. What is more alarming, perhaps, is the fact that "germs," or bacteria were not quite dis On the cusp of the American Civil War, a young midwife wants to learn from a surgeon (male, as all were then) more about how the human body works; ultimately, she wants to go to medical school. What is more alarming, perhaps, is the fact that "germs," or bacteria were not quite discovered, and to see how many lives were lost by poor hygiene due to genuine ignorance. This is fiction, historical fiction, backed by lots of research. In the prefatory pages, the author acknowledges many of her sources, and this reader appreciates the inclusion of specific sources. I have to admit, I could not stop reading the book once I started it; yet, there were places where things dragged too much. I was appalled at the conditions in our nation's capital city, particularly sanitation issues, even around the White House. This is the story of Mary Sutter which takes place during the Civil war. She is a determined, headstrong and remarkable young woman, a midwife, who wants to become a surgeon in a time when women did not become physicians. Very well written. Wish I had never heard of Mary Sutter or any of the other cardboard characters that people this tedious, plodding book. Can't think of any redeeming qualities. Had to read this for book club, otherwise would have stopped after five pages.